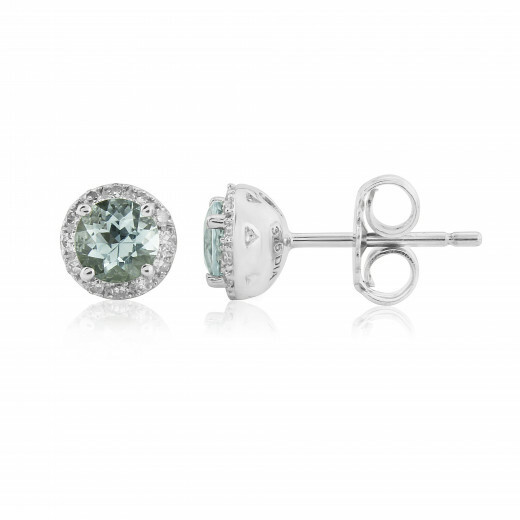 A pair of beautiful and versatile White Gold stud Earrings. Round Aquamarines with a Diamond surround and a miniature goblet setting. Sparkly, dainty with the delicate colour of the ocean and the Summer sky. 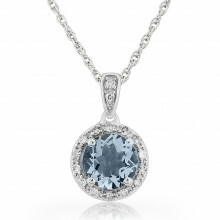 Aquamarine is one of our most popular stones and the birthstone for the month of March.